When it comes to home design in the desert climate of Fountain Hills, special attention must be paid to some basic architectural elements. Homes built and remodeled with the desert in mind will ensure a comfortable dwelling year-round. 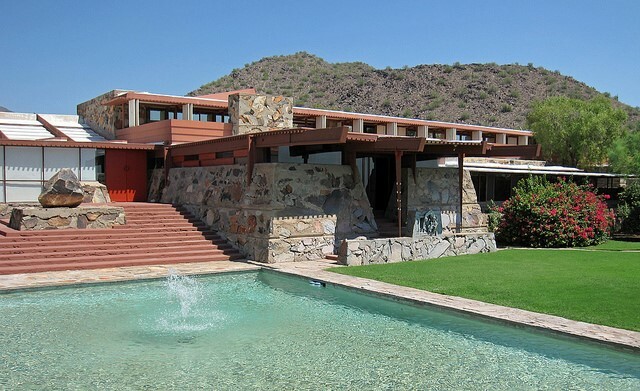 Historic, Arizona homes designed by Frank Lloyd Wright showcase some of these key elements with inspiring designs. Limit Direct Exposure to Sunlight. Naturally we have plenty of sunshine all year long, how much our homes are exposed to the heat of the sun will make a big difference where temperature control is concerned. The key is how a building is positioned and the placement of windows. Ideally windowed walls will face east or north, limiting direct expose to sunlight, while south and west facing solid walls will protect the interior from the worst of the sun’s rays. Extended overhangs along windowed walls will also add a stronger shade element. Shade Entryways and Outdoor Access Points. Many of our desert homes include open-air elements as well as outdoor living areas. Whether they are shaded by an overhang extension from the main house or have a canopy or trellis covering, extending the shade coverage of outdoor areas like the main entryway, a back deck or garden, will extend the time you can spend in these spaces. High Ceilings Enhance Air Circulation. Warm air rises above cooler air. With higher ceilings in place, a home’s natural air circulation has better flow. This is due to the increase in space between the floor and top of a room. While we have top-quality HVAC systems in our desert homes, this is one architectural element that can help keep air flow moving as well. Add in a ceiling fan to circulate more air and you can keep your home comfortable throughout the year. Install UV Protective Windows. Today’s window choices go beyond your basic pane of glass. There are energy-efficient windows available which help keep a home well insulated and keep out the worst of weather elements including extreme heat. You can also use specially treated glass which deflects solar rays away from the house. Stick with a Lighter Color on Exterior Walls. 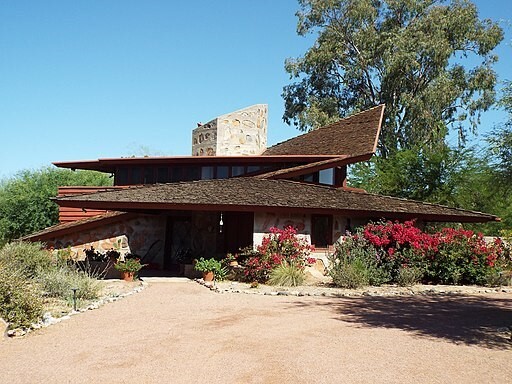 There’s a good reason the majority of homes built in desert climates are a lighter shade on the exterior walls. Lighter colors deflect sunlight better than darker shades. Regardless of the material used as siding on your house when you opt for a shade of white or one similar to the lighter shades of the desert will make for a more comfortable home environment. 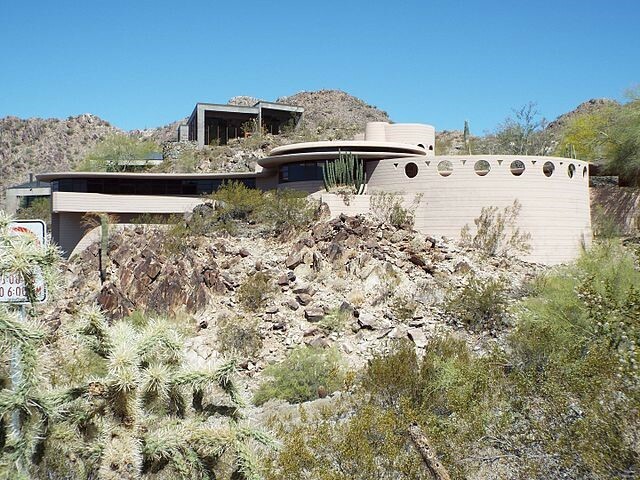 Discover more desert architecture design ideas for home with this article and photo gallery by Dwell. As your Fountain Hills Lifestyle experts, Susan Pellegrini and Karen DeGeorge are ready to put their care and expertise to work in helping you sell or buy your home. Our first-class service comes with a wealth of experience and eye for detail, ready to focus on you. Visit our website to learn more and contact us or give us a call at (480)- 315-1575, we’re here for you.